Isopure Review: Is Isopure a Good Protein in 2018? There are a million and two protein powder companies out there, but when it comes to quality, nutrition, taste, and price, not all options are created equal. 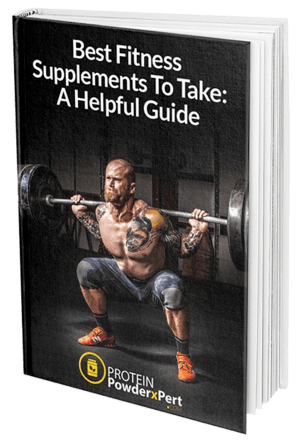 So many people make the mistake of just picking whatever protein supplement is the cheapest or most convenient, but doing this could really disrupt your fitness goals. If your protein powder is loaded with sugar or made without high-quality ingredients, you might as well just be drinking a regular milkshake after your next workout. The problem is that many of the high-quality protein supplements out there can seriously break the bank. For those looking for a high-quality protein powder at an affordable price, Isopure is a pretty decent option. If you’re looking for products made by people who really do care, Isopure is a great brand. Its founders, Hal and Ernie, created the company over 30 years ago, with little more than a cement mixer and the motivation to develop a better protein powder than the options that were available at the time. Isopure’s protein supplements are pure, clean, and delicious. They’ve also got a great protein absorption rate and are always lactose-free, low calorie, and have little or no fat, impurities or carbs. One of the great things about Isopure is the versatility of their products, as they offer so many different options. Isopure carries a wide range of protein powders in tons of flavors, but they also make a few different lines of clear protein drinks, all of which are tasty, affordable, and will fuel you with the protein you need to be your best self. Isopure offers recipes on their website for some pretty incredible protein recipes. Most of us know you can add protein powder to baked goods for a healthier alternative to things like muffins and banana bread, but have you ever considered protein popsicles? What about protein waffles for a tasty, protein-packed breakfast? They’ve even got a recipe for protein pizza that we’ve included below! Sign us up right now. Here are our reviews of some of their most popular products. Why not start with the classics, right? Isopure’s Zero Carb Protein is a great all-around choice that will help you get lots of powerful, pure protein you want, without any of the carbs you probably don’t want. These protein powders are made with 100% whey protein isolate, which is a powerful protein sourced from dairy that’s undergone a microfiltration process to eliminate carbs, lactose, sugar, gluten, and other unwanted components. The result is a potent protein powder you can mix seamlessly into your favorite snacks and drinks. Isopure’s Zero Carb Protein Powder is a good choice for anybody looking to boost their diet with some extra protein. Our bodies need protein to build lean muscle, which in turn boosts our metabolisms and help us to burn more fat. Protein powders like Isopure Zero Carb Protein Powder can help anybody meet their wellness goals. It’s a good option for casual consumers and bodybuilders alike. This protein is loaded with the vitamins, minerals, and nutrients to give your body a boost after a workout, first thing in the morning, or in between meals for a satisfying snack. For those worried about taste–Isopure has not 1, not 5, not 10, but 18 delicious flavors. So there’s definitely something for every set of tastebuds. Your options include Alpine Punch, Apple Melon, Banana Cream, Colombian Coffee, Cookies And Cream, Creamy Vanilla, Dutch Chocolate, Espresso, Mango Peach, Mint Chocolate Chip, Naturally Flavored Chocolate, Naturally Flavored Vanilla, Unflavored, Pineapple Orange Banana, Strawberries And Cream, Toasted Coconut, And Vanilla Salted Caramel. Choose the one that sounds tastiest to you–or don’t, and create some flavor combinations! The ingredients vary slightly for each flavor, so make sure to check that if you have any sensitivities. For Dutch Chocolate, the ingredients are: Whey Protein Isolate, Sugar, Cocoa Powder, Natural Flavors, Potassium Chloride, Calcium Citrate Tetrahydrate, Dicalcium Phosphate, Magnesium Oxide, Acerola Juice Powder, Luo Han Guo, Citric Acid, Alfalfa Concentrate, Sodium Chloride, Zinc Sulfate Monohydrate, Menaquinone-7, d-alpha-tocopheryl succinate, Stearic Acid, Inositol, Calcium D-pantothenate, Pyridoxine Hydrochloride, Cupric Oxide, Riboflavin, Thiamin Hydrochloride, Beta Carotene, Cyanocobalamin, and Soy Lecithin. You can buy 1lb, 3 pound, 4.5 pound, and 7-pound containers, so there’s the right quantity for occasional and daily protein consumers alike. Isopure’s most unique products are probably their Zero Carb Protein Drinks. These are clear, flavorful drinks that are packed with a whopping 40g of protein and 10.2g of BCAA’s per bottle. That’s a whole day’s worth of protein in an easy, convenient bottle. These are made with a protein so pure you can’t even see it, thanks to the microfiltration process used to create it. Isopure actually is the only company to deliver completely clear milk protein when dissolved in water. It’s sugar-free, aspartame free, lactose-free, and gluten-free too! Sometimes after a grueling workout, the last thing you want is a thick, heavy shake weighing you down. Isopure Zero Carb Protein Drink provides the protein boost your tired muscles need for a great recovery, without any of the other stuff. In short: no carbs, maximum protein, calcium, and potassium make it a pretty great post-workout drink. For hot summer days, try freezing it and making protein popsicles instead! These drinks come in 10 flavor options: Apple Melon, Alpine Punch, Blue Raspberry, Coconut, Grape Frost, Icy Orange, Lemonade, Mango Peach, Passion Fruit, And Pineapple Orange Banana. Because these are packed with protein, they probably won’t go down exactly as easy as a regular (sugar-packed) sports performance drink, but the nutritional benefit is well worth it. Some of the flavors are delicious, and some might not be your favorite, but it really is a matter of preference. If you want to try these, we’d recommend getting a variety pack so you can try all ten flavors out, and then you can order more of your favorites. Each flavor has slightly different ingredients based on flavors and dies, so keep that in mind. Here are the ingredients for the Alpine Punch Flavor: Filtered Water, Ion Exchange Whey (Milk) Protein Isolate, Natural And Artificial Flavors, Sucralose, Polysorbate 80, Phosphoric Acid, FD&C Red 40. Each 20-ounce bottle is one serving, but if you’re not looking to get a whole day’s worth of protein in one drink, you could easily split them into multiple portions as well, which would help make these drinks a little more cost effective. Want all the protein benefits of Isopure’s regular protein drinks, with an added caffeine boost? Their Tea products are going to be just right for you. They have all the same nutrition specs–a full day’s worth of protein, no sugar, no aspartame, no lactose, no fat, no preservatives, and no impurities–plus an added jolt of caffeine to get you up and running. Try the Black Tea Lemon flavor, which has 40mg of caffeine. Or, if you need a major pick me up, their Green Tea Lemon flavor has a whopping 73 mg of caffeine. Either one makes a great jump start to your morning or afternoon. The ingredients in the Black Tea are Filtered Water, Ion Exchange Whey (Milk) Protein Isolate, Black Tea Powder, Natural Flavor, Sucralose, Phosphoric Acid, Polysorbate 80. In Green Tea, they are Filtered Water, Ion Exchange Whey (Milk) Protein Isolate, Green Tea Powder, Natural Flavor, Sucralose, Phosphoric Acid, Polysorbate 80. Each 20z bottle is one serving. With 12 bottles per order and 40g of protein per bottle, you’re getting a total of 480 g of pure protein, which is a pretty good value for your money. Lots of people choose to add protein supplements as a weight loss strategy–building more lean muscle can boost your metabolism and help you shed some weight. But that’s definitely not the case for everyone. For those looking for a protein supplement that will help you bulk up and gain mass, Isopure’s Mass Protein is a good choice. It’s loaded up with 86 grams of carbs, 600 calories and 53 grams of 100% pure whey protein isolate per serving. Because it’s lactose and gluten free, it’s easy on your digestion and will keep you from feeling bloated and heavy like some other alternatives do. There are two flavor options: Dutch Chocolate and Creamy Vanilla. Both are pretty delicious. Ingredients: Maltodextrin, Ion Exchange Whey (Milk) Protein Isolate, Hydrolyzed Guar Gum, Sunflower Oil, Less Than 2% Corn Syrup Solids, Sodium Caseinate, Mono-Glycerides, Di-Potassium Phosphate, Vitamin/Mineral/Amino Acid Blend (Taurine, Potassium(as Potassium Chloride), Chloride(as Potassium And Sodium Chloride), Calcium(as Dicalcium Phosphate Dihydrate), Phosphorus(as Dicalcium Phosphate Dihydrate), L-Glutamine, Magnesium(as Magnesium Oxide), Vitamin C(as Ascorbic Acid), Vitamin E(as DL-Alpha Tocopheryl Acetate), Niacin, Zinc(as Zinc Sulfate Dihydrate), Vitamin A(as Palmitate), Pantothenic Acid(as D-Calcium Pantothenate), Vitamin B6(as Pyridoxine Hydrochloride), Copper(as Amino Acid Chelate), Manganese(as Manganese Sulfate Dihydrate), Riboflavin, Thiamin(as Thiamin Hydrochloride), Folic Acid, Biotin, Iodide(as Potassium Iodide), Chromium(as Amino Acid Chelate), Vitamin K, Molybdenum(as Amino Acid Chelate), Selenium(as Amino Acid Chelate), Vitamin B12), Soy Lecithin, Natural And Artificial Flavor, Sucralose. That’s a pretty long list of ingredients, and the reason why Isopure Mass is packed with micronutrients. Each six scoop serving contains 50% of your recommended daily intake of Vitamins, A, C, E, K, B6, B12, thiamin, riboflavin, biotin, magnesium, zinc, selenium, copper, manganese, chromium, and a few other minerals. It also contains 70% of your daily calcium needs! It’s like a protein drink and a multivitamin in one. One serving is six scoops (160 grams), so for the 3.25-pound container, there are nine servings per container. All four of these products are a pretty good protein option! Isopure is a brand that is affordable without compromising on high-quality ingredients or taste. If you decide to try any of these options out, check out our links above! And, seriously, who else wants to try this pizza recipe ASAP? In a large bowl add 1 Cup of the self-rising flour and Isopure’s Unflavored Whey Protein Powder, and combine them with a whisk. Once combined, add the Greek yogurt, and use a spatula to work it into the flour and protein powder. Add the remaining flour to your work surface area, and transfer the ball of dough to it. Coat both sides of the dough with flour, and use your hands to give the dough a circular shape. Try to make the dough about 8 inches in diameter. Transfer the dough to a pizza tray lined with parchment paper, and continue pressing it out to about 10-12 inches. Add the pizza sauce, cheese, and the toppings of your choice, and bake the pizza at 400 Degrees for 20-30 minutes (until the crust is golden brown and cooked through).